Senate President Susan Wagle (R-Wichita) and House Speaker Ron Ryckman (R-Olathe) sent a strongly worded letter to Jim Porter, Chairman of the State Board of Education demanding that the Board put Deputy Commissioner Dale Dennis and other KSDE staff members on administrative leave and calling for an investigation into whether or not Dennis violated the state law on school transportation funding. The action of Wagle and Ryckman is making a mountain out of a molehill. The practice has been addressed many times in open legislative committees and never hidden from legislators. Legislators have struggled for years with the transportation formula and this practice was initiated long ago in order to provide safe routes to school. 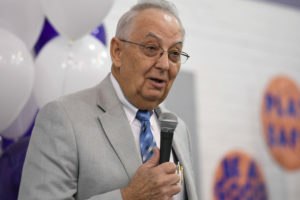 Anyone involved with education in Kansas knows Dale Dennis as a man of integrity, a man who serves the Department and advises the Legislature on issues of school finance – and has done so for many years. This perhaps is why members of House and Senate are coming to his defense. It seems so far that Wagle and Ryckman have little support. So far the only person publicly supporting the Wagle/Ryckman demands is Secretary of State and Gubernatorial candidate Kris Kobach. We urge all our readers to call their representative and Senator and ask if they support the Wagle/Ryckman attack on Dale Dennis. We also urge you to contact your State Board of Education member and urge him/her to support Dale and reject the demands of Wagle and Ryckman. Tell your elected officials to end their politically-motivated overreach! The State Board of Education will meet tomorrow afternoon starting at 1:00 to consider their response and action. 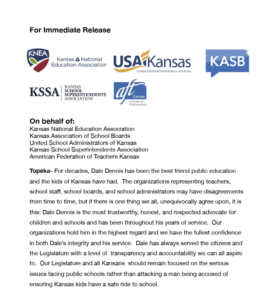 KNEA, KASB, USA, KSSA, and AFT Issue Joint Statement in Support of Dale Dennis. The Kansas Department of Education provided an explanation of how this came to be. “The following is a historical explanation for how we arrived at the current line of best fit. Many years ago, at a time the Legislature was discussing the school finance formula, they were making every effort to not discriminate against high-density school districts. KSDE staff was called to the State Capitol and told that the purpose and intent were for KSDE to flatten out the line of best fit so that it would not be disadvantageous to those school districts with high-density per pupil. At that time, legislators were having difficulty defining in writing the line of best fit for high-density school districts. 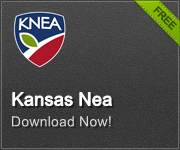 However, they verbally provided KSDE with their definition of line of best fit. The Division of Post Audit recommended that the practice be codified as part of the transportation formula. Rep. Melissa Rooker (R-Fairway) has introduced a bill – HB 2445 – that would do just that.